You can have the best email system in the world, you can have the best autoresponder in the world but it’s useless if you don’t have a list. So, you need to build a list. Money is on the list. If you don’t have a good list, you don’t have profit. Would you ever consider buying a list? My immediate reaction is “Absolutely not”. Such lists are like single-serving friends. You meet them once and you’ll never see them again. This is the situation email marketers should avoid by all means. The goal for email marketers is to build a list of engaged subscribers who knows you, trusts you and who can potentically invest into what you have to offer them. So, if you are like me, continue reading and you will learn about a very easy way to build a responsive list without spending much of your hard earned dollars. You probably heard about squeeze pages, landing pages that are designed specifically for collecting subscribers. Believe it or not, but you don’t necessarily have to have a fancy squeeze page, you don’t have to have anything complicated as your blog, your site even as it stands has huge potential to build a list for you. You just have to convince people to act, because especially online people have a lot of skepticism. Before you start building a list, you have to build trust, authority and confidence. You should be doing this any way when you are running a blog or a web site. Publish articles, blog posts, case studies to your blog or site, share valuable information or links in your niche via social media, anything like that. When you are doing this, your audience is primed to signup. What you need to do now is to convert your readers into subscribers. And to convert them, you need an offer, a no-brainer offer. When you have a primed audience and then you make them a no-brainer offer, you will end up with a list. It’s as simple as that. If you are building authority, trust and confidence and you are giving them something of an incredible value, you get someone who is going to be responsive to whatever you will give them. How to create a no-brainer offer? You may think: “Ah, I don’t have an offer. I don’t have anything I can give them for free”. Here is the simple no-brainer offer formula – use a piece of PLR. Use Google to search for a PLR ebook in your niche, for example “PLR+ebook+weigth+loss” or “PLR+ebook+acne” or “PLR+ebook+plastic+surgery” or whatever your site is about. You can get a PLR ebook or report for less than $10. Check the distribution rights so you can modify the content, pack it with other products, change the cover etc. to get your exclusive no-brainer offer. Test the signup form at the top, at the sidebar, use a popup signup form for instant attention to find what works best for your audience. Repeat the signup form at the end of the article for better conversion because people are already engaged since they read the article to the end. You can easily do this with the WPNewsman newsletter plugin for WordPress. 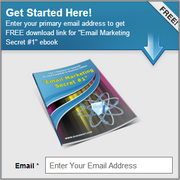 With one short code you can embed the opt-in form right into the content. Placing the subscription form not only on the sidebar but also at the bottom of the page will kick-start your list building very very quickly. So, after you have them on a list, then you’ll want to stay in contact. An easy way to do this is by creating an autoresponder series. That delivers and makes a value. What to write in follow-up emails? If you don’t have writing skills, or you don’t have ideas what to tell them about, PLR will help you again. Get PLR articles in your niche and split them into a valuable follow-up series. You can change the content if you see it appropriate, describe the problem, add valuable links, tips, tricks, etc. Or you can just copy-paste the articles into your autoresponder system. Send 10 emails with free stuff and 2 more follow-ups with a solution to the problem they can get for $$. Unless you ask them to choose the frequency they will receive emails from you, send at least one time a week to make them remember you and reduce spam complaints. You can tell them how often you will send them emails in the welcome email or on the “Thank you” page. If you give them the option to choose frequency, respect their choice and don’t email more often. Also, ask them to add your sender’s email address to their whitelist or address book to ensure the delivery of your emails to their Inbox. Another good thing is to use a call-to-action on the “Thank You” page. Immediately after they signup, tell them “To get rid of acne in 24 hours, click this link or button”, for example. This way, you instantly create a list of buyers which is more important because they are more responsive than free subscribers. Anyway, you can still build value to both lists. As the research shows that more than 50% emails are opened on mobile phones, make your emails look good in different mobile devices with different screens and browsers. A good idea to ensure this is to use a responsive email template that automatically adjusts to the screen where it is opened. Download a responsive HTML email template and use it to create your follow-ups. To summarize, in order to build a list, you need a website or blog with an opt-in form, no-brainer offer, autorespober system and follow-up emails. Get a no-brainer offer, re-brand it, put it on your site where subscribers can download it, deliver value in follow-ups and sell the solution. List building has a much higher percentage of user engagement rate than any other platform and converting these leads into sales. When someone subscribe to your email list, they are really interested and are much more likely to open your email and click on the links. Email is personal and targeted. Your message is intended for a person who is interested to hear from you. It is very direct and personal in building the like, know and trust.